1. 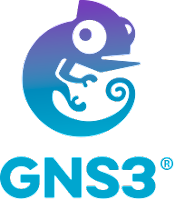 Click 'New' to add a Virtualbox VM to GNS3. Drag and Drop LibreNMS VM, a Host, a Ethernet Switch and a Cisco Router (Licence IOS is recommended) from the GNS3 Device list to the work space. Connect LibreNMS VM and the Router to the Ethernet Switch. CAREFUL: Due to the inconsistency of multiple virtual environments there will be connectivity issues. 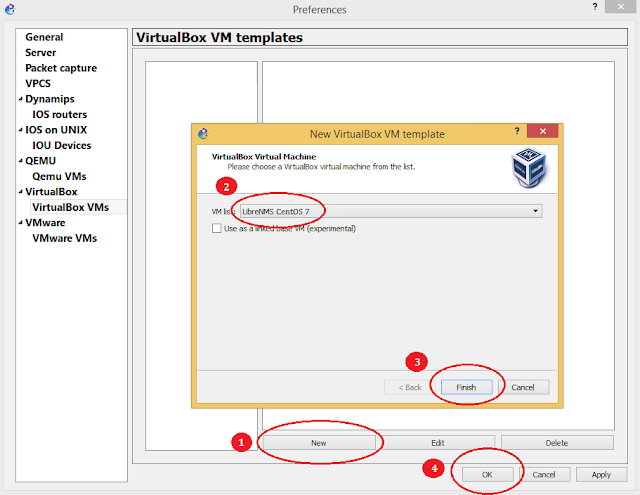 Make sure Virtualbox is using 'Generic Driver' for it's network interface card.